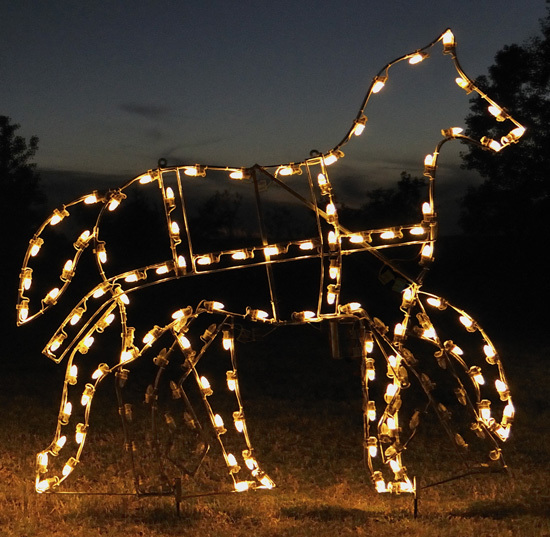 This classy, white light silhouette Victorian Horse will make any setting have a rich appearance and complements our animated carriage and looks great with other skating figures and lamp post. Lights make the horse appear as if its galloping. Victorian Horse is 5.25 Feet Hight x 5.7 Feet Wide; approx. 16 lbs.